How Do You Act Around Others? 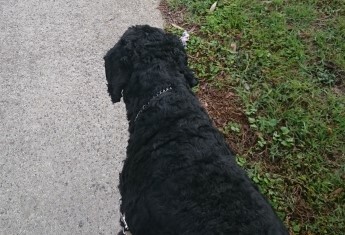 As I walk the dog I have noticed something very interesting… Some mornings he looks like he is exhausted with his tongue hanging out of his head. He will have his head down and slow down as we walk around the block. However…. when there is another dog around things change. He braces up, head held high and his pace quickens. I see this often and think how funny he is in the way he responds to other dogs. I got thinking and discovered we humans are the same. We act, dress and talk differently in different crowds. We dress in a certain way for a job interview, which is very different to the way we dress on the weekend. We behave differently with people around than when we are alone, or differently when with friends, than when with our boss. Why is this? Does this make us fake? I think that it depends. If we are acting in ways that are at opposites to each other and contradicts each other then I think this would be fake. However, mostly our actions are complementary and are within a framework of the general group. For example, if we take drugs on the weekend and then work for a law enforcement agency during the week this would be fake. However, if we wear jeans and t-shirt on the weekend at a family BBQ and then a suit to work during the week, this is not contradictory and in fact is showing respect to your role and work. •What are the ways you change around people? •Is it contradicting the way you change or just adjusting to the situation? Attila is a Cause & Effective Associate. He loves life and thrives on helping people become more effective leaders.